The very essence of Manhattan Fruitier is reflected in our fresh fruit gifts which are thoughtfully crafted by hand using pick-of-the-season fresh fruit and complemented with sweet and savory treats. Delivered nationwide. We are a fresh fruit basket service that harkens back to an earlier time when things were done with greater attention to detail and beauty. 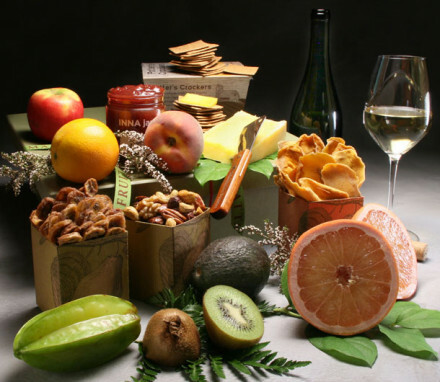 Our tasteful and refined fruit gifts have been making lasting impressions for 30 years. Delivered across the country, all of our fresh fruit gift baskets are assembled by hand and include pick of the season fresh fruit with accents of lemon leaves and seasonal flowers for an elegant presentation. We offer a variety of fruit basket gifts at a range of price points. We also offer a selection of gourmet gifts that pair fresh fruit with a variety of fine foods such as artisanal cheeses and smoked salmon. No matter what the occasion, our gourmet fruit baskets are always appropriate. Our classic fresh fruit baskets capture the very spirit of Manhattan Fruitier. These elegant gift baskets feature the freshest seasonal fruits and delicious sweet and savory treats. 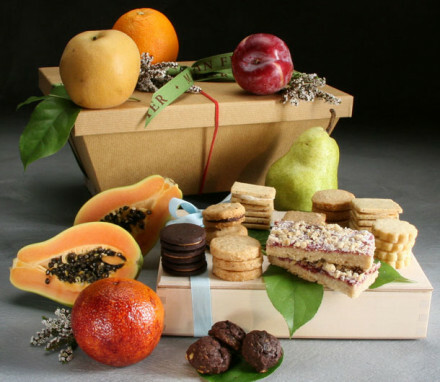 When you combine ripe fresh fruit with extraordinary sweet chocolates and baked goods, you get our glorious Fruit and Sweet Treats gift baskets. They’re the perfect gift for any occasion! 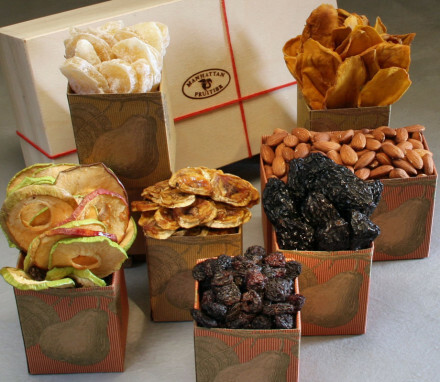 Enjoy the best collection of dried fruit, nuts and snacks in our handcrafted dried fruit and nut gift baskets. With free shipping they make a delightful gift or delicious treat for yourself! Our organic food & fruit gift baskets are one of the easiest ways to send a thoughtful and healthy gift. Featuring certified organic fruits and treats, they show just how much you care. Fun, vibrant, and colorful are just three ways to describe our delicious tropical fruit gift baskets. 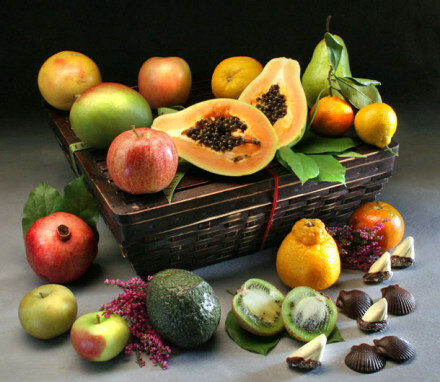 These exotic fruit baskets are the perfect gift for anyone who loves to indulge in the rarer fruits of life. Surprise anyone living or working in New York City with a hand-delivered fresh fruit gift basket. Perfect for office celebrations, thank you gifts, or just because. It is easy to order a fresh fruit gift basket from Manhattan Fruitier. Order online 24/7 or contact us to place your order. Our customer service staff is ready to assist you in choosing the fruit gift that best fits the gifting occasion. We send fruit baskets nationwide and offer hand delivery in and around Manhattan. Our fruit gift baskets shipped nationwide are assembled in keepsake willow hampers with lids that ensure that the fruit will arrive in pristine condition. 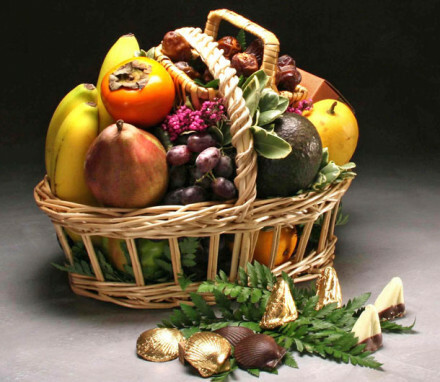 Gourmet fruit baskets hand delivered in and around New York City are assembled in open willow baskets and covered by a reusable natural abaca fiber mesh bag that protects the contents of the arrangements without disguising the beauty. 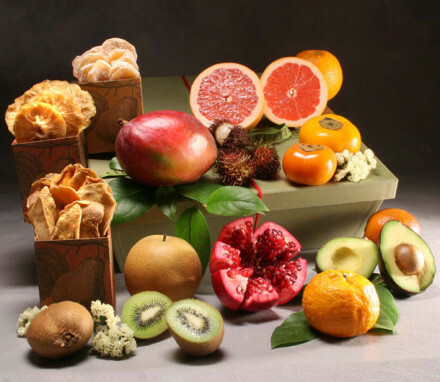 We guarantee the quality of the presentation and the ingredients of our fresh fruit baskets. We know that the gift baskets you send are a reflection on you, the sender, and we take that responsibility very seriously. Our customer service representatives are ready to go out of their way to help.